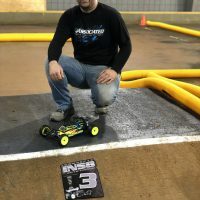 The 2018 Jconcepts Indoor National Series Finals Race is in the books and closes out my 2018 R/C racing season. As always, Brent Densford and his track crew did an excellent job. 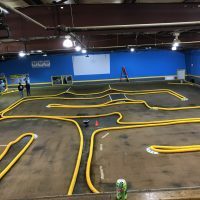 The layout was amazing, the facility was top notch, hobby shop well stocked with Pro-Line tires, personnel always willing to answer questions and help out. 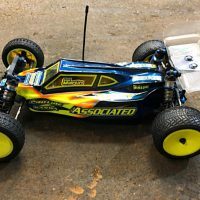 I chose to run Pro-Line MC Positron Rears and MC Electron Fronts in all 3 classes that I raced. As for the racing, I absolutely enjoyed this layout. It was a challenging layout that forced racers to really dial in throttle curves and braking as well as work on tight driving lines with the low speed corners and really work our tires in for varying track conditions. We were fighting to find hundredths of a second each corner around the track. 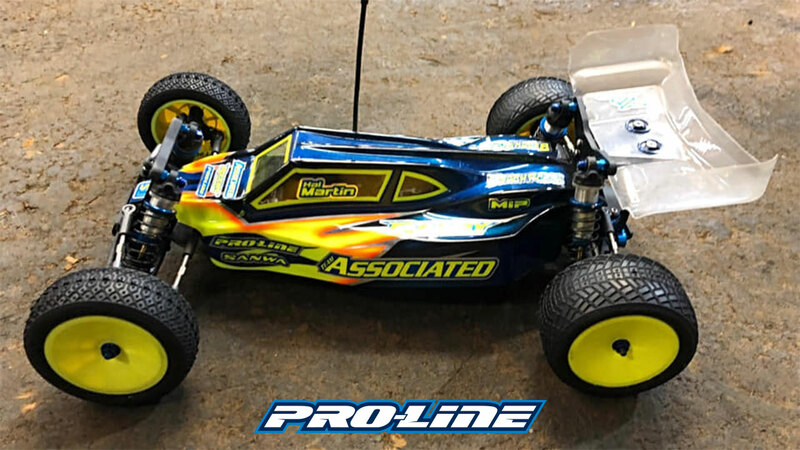 I chose to run Pro-Line MC Positron rears and MC Electron fronts in all 3 classes that I raced. I broke them in on a drill with a microfiber towel, and then put 2-3 runs on the track for each set. We utilized a tire prep that is common on the east coast, FDJ Green Dot. The tires were at optimal grip level with a slight bit of pin still showing, more on the outside edges of the tires with an almost slicked out center. In the 2WD modified class, I qualified 20th overall which put me starting 2nd in the C-main. I made a mistake early in the race which put me behind, and I was unable to make my way up into a transfer position. I would end up finishing 6th. In 13.5 Expert 4WD Buggy, I would qualify 9th overall putting me just outside of the A-main. I would start 1st in the B-main. Again, I would make a mistake early on in the race and could not put a solid run in to make my way back up through to a transfer spot. I would finish 7th. Finally, in the 17.5 Expert 2WD Buggy class, I would have a really solid weekend, qualifying 4th in the A-main. I would race a very clean and solid feature and finish on the podium in 3rd position. 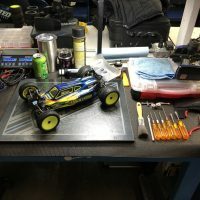 It was a great weekend racing with some of the best r/c racers in the country. I was able to meet some great new people at this event and take home a podium finish! I look forward to returning to this event again next year!